In this video Ian McIntosh shows you how to create great sounds using Reason. You'll see how you can quickly transform sounds using Filter and Reverb, and a hidden tape compression setting in Reason that can completely transform your Piano sounds. 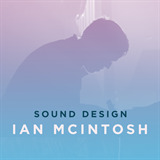 In this Course you'll learn Sound Design Tips and Tricks with Ian McIntosh.